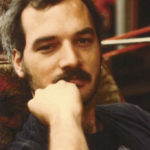 William Bill Kreutzmann is an American drummer. He played with the Grateful Dead for its entire thirty-year career, usually alongside fellow drummer Mickey Hart, and has continued to perform with former members of the Grateful Dead in various lineups, and with his own bands BK3, 7 Walkers and Billy & the Kids. "I made that decision back in 1985. I was out here getting certified in SCUBA with Garcia in Kona and I thought to myself, this is a place to wake up in in the morning." "I always thought it would be really cool to be playing the drums in the show and then have your astral body or whatever travel all through the audience and dig whatever it’s like out there." "My dad loved black singers. So listening to New Orleans music, eventually I wanted to play an instrument." "I saw a drummer play once when I was a kid and I thought, that’s really cool. You know, you’re moving. You’re using your arms and fingers. So I tried it and I loved it." "At first I missed it, but it was the amazing energy thing that happened during shows, when a lot of people were like Yay Yay Yeah! I missed that for a while. But I don’t miss the regular and the business side of that whole thing."